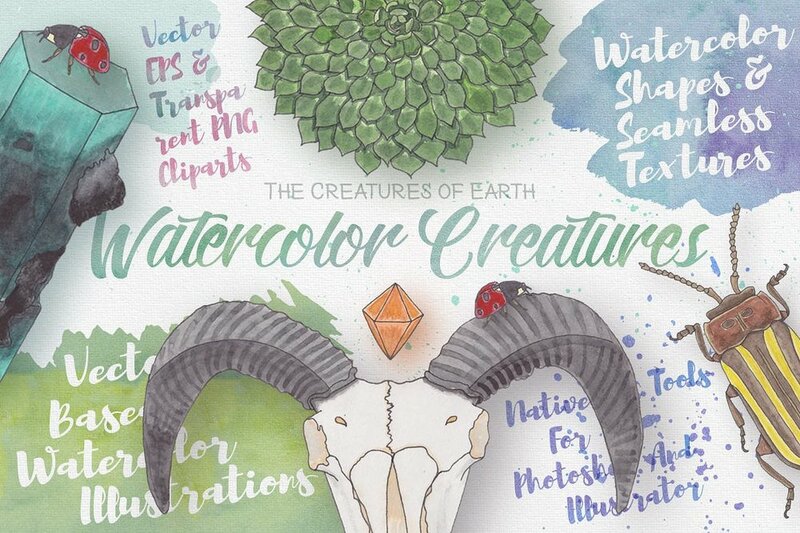 Watercolor Creatures is a set of illustrations which was started absolutely spontaneous: I just got inspired and started painting ... and a few days later ended up with dozens of these babies! 😄 And that's exactly how my Watercolor Creatures are born, from creativity and inspiration. Get a set of beautiful watercolor illustrations and graphic assets to bring this fantastic feeling to your projects! Thorough digitising and high resolution.